The BBC News website’s coverage of the recent incidents involving two different groups of UNDOF personnel began on August 28th with some problematic geography. Just over half an hour later, someone at BBC News apparently realised that the Syrian opposition group which captured UNDOF soldiers was unlikely to be located in the part of the Golan Heights the BBC terms “disputed” and that hence the automatic reflex adjective was inaccurate. “It comes a day after rebels took control of a crossing into the Israeli-occupied Golan after a long battle. Activists said the rebels included members of the al-Nusra Front, al-Qaeda’s affiliate in Syria. In fact, whilst the IDF officer was injured by a gunshot wound to the chest, the civilian from Kibbutz Ein Zivan was wounded by mortar fire. Those events on August 27th had previously been briefly and partially mentioned at the end of a report titled “Syria conflict: Islamic State ‘committed war crimes’“. “In a separate development, Syrian rebel groups including the al-Qaeda affiliated Nusra Front have taken control of a crossing between Syria and the Israeli-occupied Golan Heights, according to a UK-based monitoring group. “The Nusra Front and other rebel groups took the Quneitra crossing, and heavy fighting with the Syrian army is continuing in the surrounding area,” said Rami Abdel Rahman, the director of the Syrian Observatory for Human Rights. The Israel Defence Forces said one of its officers “was moderately injured as a result of errant fire from Syria”. 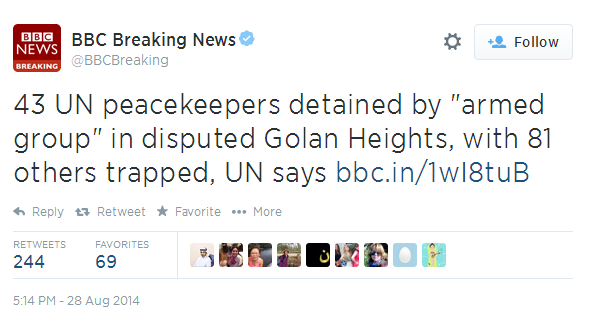 “In response, we struck 2 Syrian military positions in the Golan Heights,” an IDF spokesperson [sic]”. 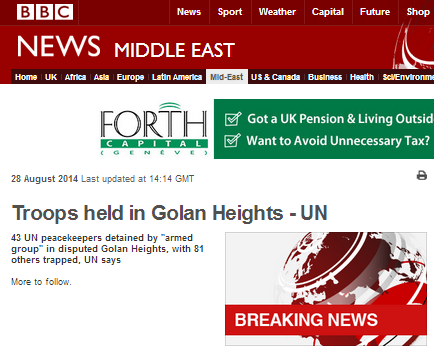 The BBC News website’s second report on the UNDOF story appeared on August 29th under the title “Golan Heights: UN calls for release of Fijian peacekeepers“. 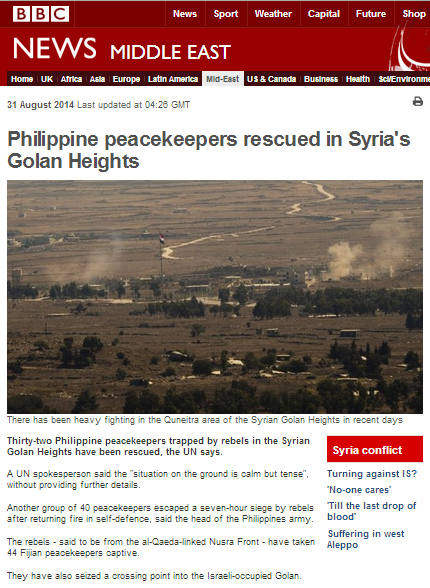 On August 30th a third report appeared titled “Philippine troops ‘attacked in Syria’s Golan Heights’” and on August 31st a fourth report was published under the title “Philippine peacekeepers rescued in Syria’s Golan Heights“. The first two articles both include the following statements taken in part from the BBC’s problematic profile of the Golan Heights which fails to make any mention of why Israel captured the area and its use by Syria prior to June 1967 as a position from which to attack Israeli civilian communities below. “The Golan Heights, a rocky plateau in south-western Syria, has a political and strategic significance that belies its size. Israel seized the region in the closing stages of the 1967 Six-Day War, and thwarted a Syrian attempt to retake it in 1973. Both countries signed an armistice in 1974, after which Undof was put in place to monitor the demilitarised zone. “Israel seized most of the Golan Heights, a strategic plateau in south-western Syria, during the 1967 Six-Day War. The two countries signed an armistice in 1974, after which Undof was put in place to monitor the demilitarised zone. 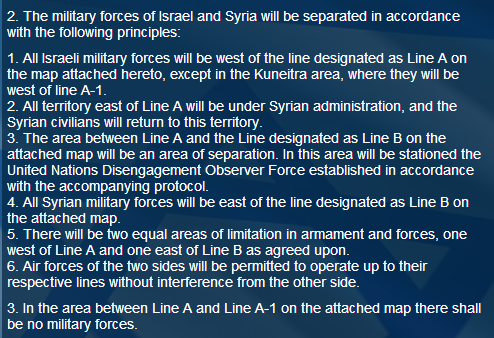 UNDOF’s actual mandate includes of course rather more than the BBC’s simplistic portrayal reveals and includes ensuring that both parties to the 1974 Israel-Syria Separation of Forces Agreement keep its terms. Since the beginning of the civil war in Syria in 2011, conditions on the ground have changed and the demilitarized zone has long since ceased to live up to its name. UNDOF personnel are known to have ceased inspections in the area of limitation in armament and forces on the Syrian side. On its website, UNDOF itself divides its activity into two phases: 1974 to 2012 and 2013 to the present because of the change in conditions. Beyond moves such as the above resolution, the UN Security Council has done nothing to bring about the restoration of the designated status of the demilitarized zone which its UNDOF forces failed to keep free of military activity in accordance with their mandate. 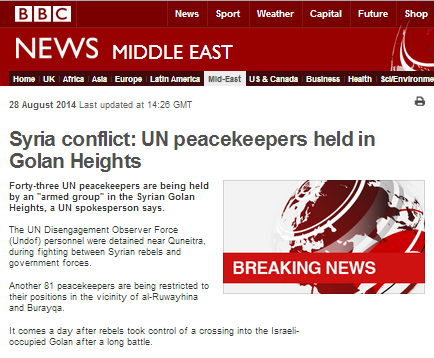 With frequent bouts of fighting between Syrian government forces and opposition groups taking place in that area often resulting in spillover fire into Israel and with tensions along the border rising as a result, UNDOF’s failure to meet its purpose is clearly an issue of significance about which BBC audiences need to be informed if they are to be able to reach informed opinions on current and future events and to understand Israeli reactions to them. That information was not provided in any of these four articles, which instead use template wording which has already been irrelevant for two years. 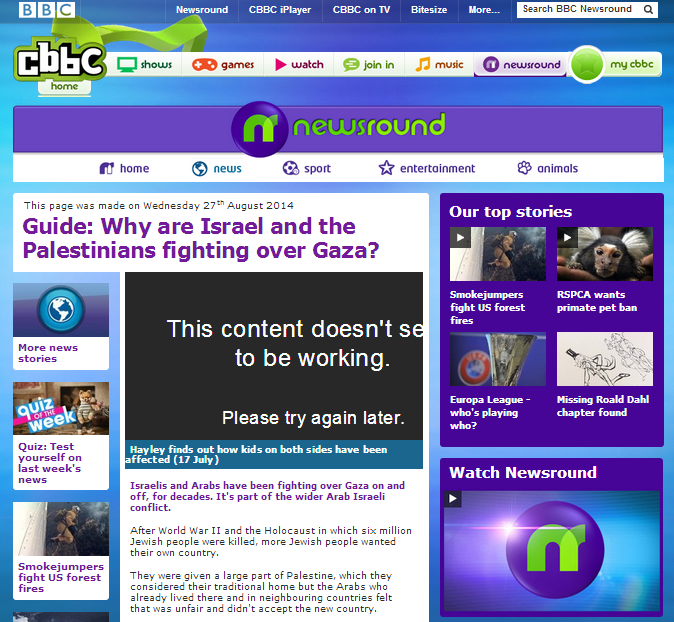 On August 27th the CBBC website’s ‘Newsround’ section (which is aimed at children between the ages of six and twelve) updated a page titled “Guide: Why are Israel and the Palestinians fighting over Gaza?“. The page itself is not new; it was originally created in November 2012 and was the subject of a complaint and a ruling by the BBC’s Editorial Complaints Unit in June 2013. Nevertheless, the item still includes many problematic statements – not least in its title. Neither the most recent conflict of July/August 2014 nor the one before it in November 2012 was rooted in a dispute “over Gaza”. The idiom ‘to fight over’ means “to fight a battle that decides who gets […] something”. 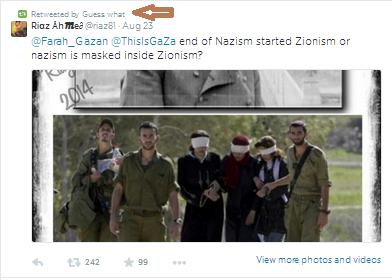 Israel does not – as that title incorrectly suggests – want Gaza. Both those conflicts, like the one before them, began because of escalated attacks on Israel’s civilian population. Neither was either conflict fought against “the Palestinians” but against Hamas and other terrorist organisations based in and acting from the Gaza Strip which perpetrate the attacks on Israeli communities. That same inaccuracy is repeated in the guide’s opening sentence. The item continues with an inaccurate description of events leading to the establishment of the State of Israel, erasing from view the Mandate for Palestine which preceded by 25 years the point in time bizarrely chosen by the BBC as the commencement of the story. “After World War II and the Holocaust in which six million Jewish people were killed, more Jewish people wanted their own country. An inaccurate and highly sanitized representation of the fact that the nascent Israeli state was attacked by five Arab countries along with assorted irregulars and volunteers hours after it had declared independence conceals from readers which parties initiated the war and the fact that hostilities had actually begun six months beforehand. The fact that the Gaza Strip and Judea and Samaria are both areas designated as part of the Jewish homeland under the terms of the Mandate for Palestine is not made clear and neither is the very relevant issue of the lack of international recognition of Jordan’s occupation and subsequent annexation of Judea and Samaria and Jerusalem. Equally lacking is the guide’s description of the Six Day War and the failure to explain which parties initiated that conflict and what was their aim. The wording of the next paragraph leads children to mistakenly believe that Hamas’ control of the Gaza Strip came about through elections rather than a violent coup in which it ousted the Palestinian Authority and euphemises Hamas’ aim of bringing about the end of the Jewish state. Neither are readers informed of the fact that it was Hamas’ decision to escalate terrorism against Israeli civilians which made the implementation of border restrictions necessary. Children are also mistakenly led to believe that power cuts in the Gaza Strip are connected to border restrictions whilst in fact the real reason is the dispute between Hamas and the Palestinian Authority. Likewise, they are inaccurately informed that exports abroad are restricted and that “not many goods get into or out of Gaza” when in fact the only limits are on weapons and dual-purpose items which can be misappropriated for terrorism. “Israel controls its coastline and all the entry and exit crossings into Israel. There is another crossing point into Egypt. There is no working airport. Because access is so restricted, not many goods get into or out of Gaza. Food is allowed in, but aid agencies say families are not eating as much meat or fresh vegetables and fruit as they used to. There are often power cuts. The item fails to clarify to readers the differences between Palestinian refugees and those from any other country or that their exceptional hereditary refugee status is in fact the result of the decision by the Arab league countries to refuse to grant them equal status in the countries in which most of them were born. Jewish refugees from Arab lands do not appear in the picture presented by CBBC. “During the 1948 and 1967 wars hundreds of thousands of Palestinians left, or were forced out of, their homes and moved to neighbouring countries to become refugees. Children are then informed that Israelis living under missile attack for almost a decade and a half have got used to it. The item continues with misrepresentation of casualty figures from three rounds of conflict. 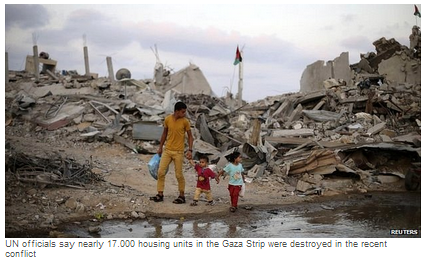 “In the years since Israel withdrew its troops in 2005, Gaza has seen several Israeli offensives. Israel says these were aimed at putting a stop to rocket fire. Around 700 of the Gaza Strip casualties in Operation Cast Lead were terrorists and three of the 13 Israeli casualties inaccurately described by the BBC as all being soldiers were in fact civilians. Around sixty percent of the Palestinian casualties in Operation Pillar of Defence were terrorists. Whilst the data for casualties in Operation Protective Edge is as yet incomplete, 46% of the names examined so far have been shown to be terrorists. The item closes with whitewashing of the PA decision to scupper the Oslo peace process, presenting the failure to reach a negotiated agreement as a matter dependent solely upon Israeli agreement. This is unfortunately not the first time that an inaccurate presentation of Israel-related issues has been promoted by ‘Newsround’ to young children. There is of course a vast and crucial difference between “simplification appropriate for an item intended for children” (as cited in the ECU ruling on this item from June 2013) and the presentation of inaccurate and misleading information. Incidents such as the recent bout of conflict often prompt increased pondering of the topic of why so many educated people in Western countries exhibit a disturbing lack of factual knowledge with regard to Israel. With CBBC apparently reaching 34% of six to twelve year-olds weekly in the UK and its website having a million unique browsers a month, items such as this inaccurate and misleading ‘Newsround’ guide are clearly aiding to perpetuate that situation whilst failing young audience members and their licence fee-paying parents by neglecting the BBC’s obligation to promote “understanding of international issues”. The pace of events over the last couple of months has meant that our usual end of month round-up of coverage on the BBC News website got put on hold. 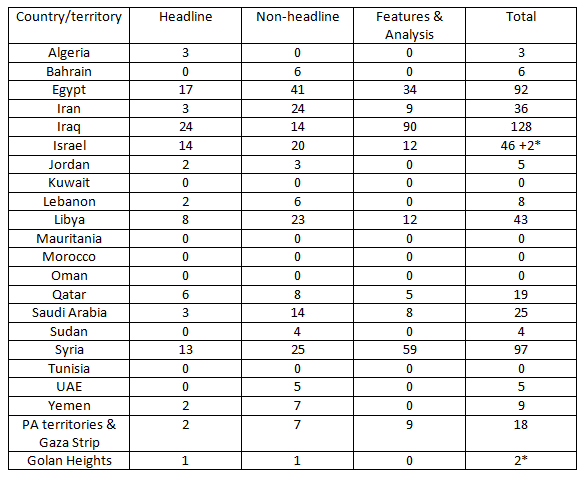 Below are the counts of articles appearing on the website’s Middle East page during June and July 2014 according to the twenty-two countries and territories defined by the BBC as making up that region per the profiles on that page. 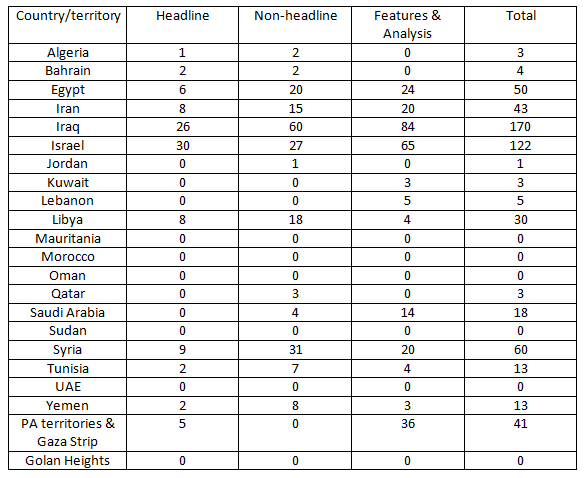 As in previous months (see ‘related articles’ below), the count relates to three categories of articles – headline, non-headline and features – with the total representing both the appearance of a new report and its level of exposure in terms of the number of days it stayed up on the site. Filmed reports and ‘related articles’ are not included in the count. The stories behind those numbers were many and varied with the take-over of parts of Iraq by ISIS accounting for nearly all the articles relating to that country and putting it first in terms of coverage. Presidential elections in Syria and Egypt accounted for many of the reports concerning those two countries in second and third place respectively and the trial of Al Jazeera journalists in Egypt which received extensive coverage from the BBC also accounted for a proportion of that country’s coverage. The BBC did not begin covering the story of the kidnappings of three Israeli teenagers in Gush Etzion until two days after they went missing but much of the latter half of the month’s reports on Israel were devoted to that topic. Whilst the BBC defines the Golan Heights as a separate territory, its items on that area were in fact about Israel’s reaction to the killing of an Israeli teenager near the border. Elections and political violence in Libya accounted for most of the stories concerning that country which came fifth in terms of the amount of coverage. Other June stories included the World Cup; all of the reports on Algeria related to that topic along with several of those on Iran. A significant proportion of the stories from Qatar concerned the FIFA investigation into its World Cup bid. The Palestinian Authority unity government also got coverage at the beginning of the month and quite a few of the stories concerning Saudi Arabia were about the outbreak of MERS there. All the reports on the UAE related to its airline’s purchase of a stake in Alitalia. Sharp-eyed readers will note that for the first time since we began recording BBC coverage of Middle East countries in March 2013, reports on Sudan appeared in June 2014. For the second consecutive month Iraq got the most coverage on the BBC News website in July with most of the reports again relating to the topic of ISIS. Israel came second in terms of coverage with the majority of reports relating to Operation Protective Edge and the influx of additional BBC correspondents to the region very apparent. 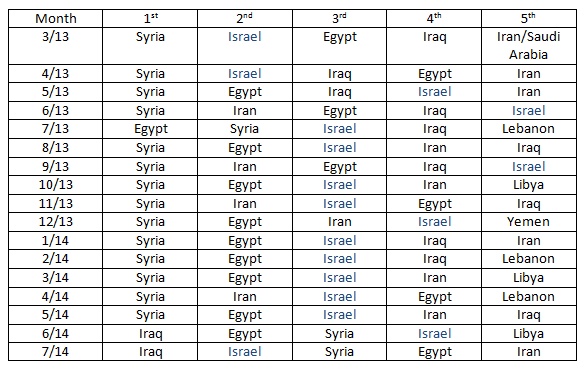 Syria was once again in third place for the second month running, Egypt fourth and Iran in fifth place with a significant proportion of the reports relating to the topic of the P5+1 talks. Despite continuing political violence in Libya, that country came seventh in terms of coverage. 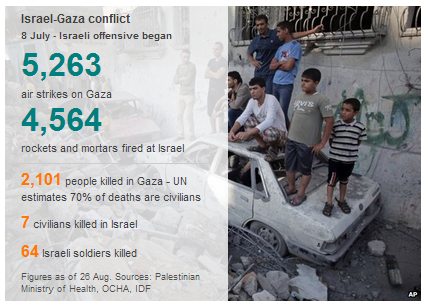 It would appear that the graphic below (which appeared in a recent BBC News website article titled “Gaza conflict: Israeli PM Netanyahu says war was ‘victory’“) can be said to represent the BBC’s summing up of Operation Protective Edge. 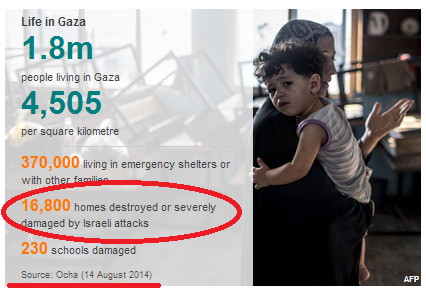 As we see, the BBC is still promoting statistics and civilian/combatant casualty ratios provided by the Hamas-run Gaza Ministry of Health and UN OCHA which relies on information provided by political NGOs. The Meir Amit Intelligence and Information Centre has now published the fourth part of its analysis of casualties in the Gaza Strip (previous chapters can be found here, here and here) and has so far examined a total of 667 names. 273 of those killed were terrorist operatives(65 + 66 + 71 + 71). 316 of those killed were non-involved civilians (76 + 93 + 66 + 81). The identity of 78 people who were killed is unknown at this stage (34 + 26 + 15 + 3). Therefore, it is not possible to determine whether they were terrorist operatives or non-involved civilians. As we also see, there is still no evidence to suggest that the BBC has independently verified the statistics it quotes and promotes and BBC audiences have still not been informed of that lack of independent verification or of the political backdrop to the figures cited. Readers may be interested to know of the existence of a petition to try to persuade the BBC to correct its obviously problematic policy. Notable too is the fact that at no point during its last seven weeks of coverage of the conflict has the BBC attempted to put the topic of civilian/combatant casualty ratios in Gaza into their broader context. Audiences in the UK and other Western countries have not been informed how those ratios compare to other conflicts in which their own armed forces were involved. Some interesting thoughts on that topic and many others come from former BBC journalist Richard Miron. “Israel must be held to account not in comparison to elsewhere in the Middle East but rather to other Western armies operating under similar conditions. And yet in reading and watching the coverage out of Gaza it seems the media held Israel to an altogether different standard. 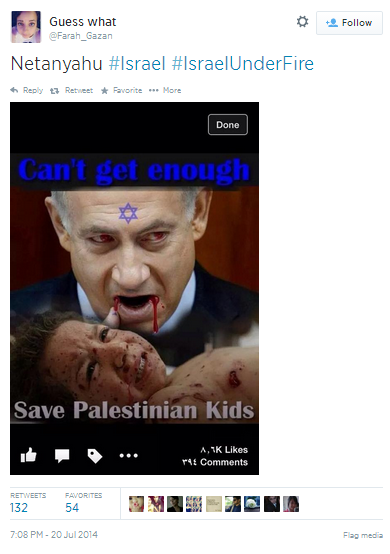 Civilian casualties were often portrayed as the consequence of deliberate Israeli vengefulness and bloodletting. 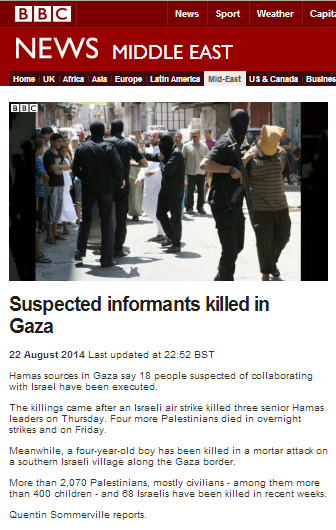 Why did the BBC downplay years of Hamas extrajudicial killings? On August 22nd Quentin Sommerville produced a filmed report for BBC television news which also appeared on the BBC News website under the headline “Suspected informants killed in Gaza“. The appearance of this filmed report and an accompanying written one on the BBC News website was particularly interesting because previous announcements in the local media with regard to the execution of four people on July 17th and the execution of thirty more people on or around July 28th had been completely ignored by the BBC despite its plethora of correspondents on the ground at the time. The reason for the anomaly appears to be that this time the information came from Hamas itself, as Sommerville noted in his report. The only brief reference to the lack of due legal process comes later on in Sommerville’s filmed report with the written version failing to relate to that topic at all. 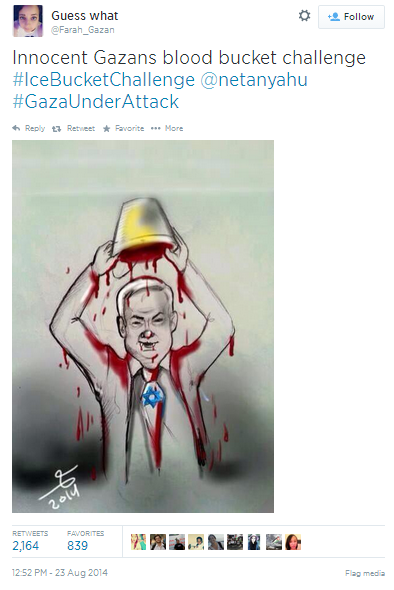 “After the first 11 executions, Hamas warned that “the same punishment will be imposed soon on others”. Sommerville also promoted a similar ‘explanation’. It is not of course apparent how Quentin Sommerville defines “years” or “such force”, but extrajudicial killings and torture by Hamas are by no means a rare occurrence and indeed formed an integral part of its violent take-over of the Gaza Strip in June 2007. Some other examples of that practice (by no means all) appear below. In 2009 Human Rights Watch produced a report which stated that thirty-two suspected collaborators had been killed between December 2008 and April 2009 and at least 49 people from the rival Fatah movement had been shot in the legs by masked gunmen. In April 2010 two people were executed and in December of the same year three more men were convicted of ‘collaboration’ with one sentenced to death. In July 2011 two men were executed. In November 2012 at least six summary executions took place with Hamas claiming responsibility in a note attached to an electricity pole. Those events got 29 words of coverage from the BBC at the time. In June 2013 the BBC failed to report on two executions and two more in May 2014 were likewise ignored. “Under Palestinian Authority law, all death sentences must be approved by the president of the PA. But in 2005, PA President Mahmoud Abbas issued a moratorium on death sentences – a prohibition that did not stop Hamas from pursuing executions under the pretext that the PA president was no longer a legitimate leader since his term had expired in 2009. The BBC has a dismal record on reporting abuses of all kinds by both Hamas and the Palestinian Authority and it is therefore all the more notable that these two reports came about only when Hamas wanted to publicise the executions of suspected collaborators for its own purposes. It is also remarkable that neither report ventured beyond limited reporting of the incidents themselves to inform audiences with regard to the issue of the absence of due legal process before those killings and their implications given that the Gaza Strip is – officially at least – now ruled by the Palestinian Unity Government rather than the “armed movement” as Sommerville so quaintly dubs an internationally recognized terrorist organization. This article was originally published at the British political blog Harry’s Place. “Pro-Israeli broadcasters are finding it ever harder to defend Israel in the face of the large-scale massacres and destruction in Gaza, but the BBC is determined to do its best, sacrificing all claims to impartiality and journalistic integrity in the process. 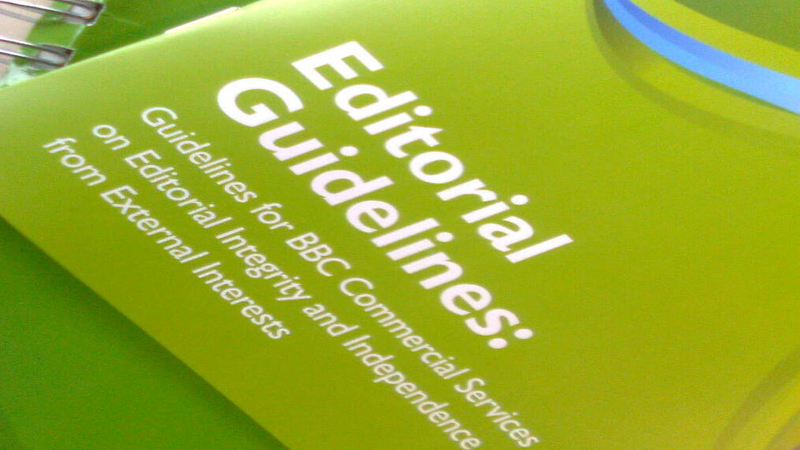 BBC editorial guidelines on impartiality do indeed relate to the issue of clarification of the viewpoint of interviewees in section 4.4.14 and in October of last year the BBC’s Editorial Complaints Unit recommitted to the practice of “summarising the standpoint” of contributors after the Palestine Solidarity Campaign made a complaint based on similar claims to those appearing in Saleem’s above article. However, the selective nature of Amena Saleem’s interest in this matter indicates that it does not stem from genuine concerns about BBC impartiality and journalistic integrity but is a tactic employed in the broader PSC public relations strategy. The real story behind the August 26th ceasefire between Israel and Hamas is of course the fact that Hamas could have accepted the same terms six weeks earlier and thereby prevented hundreds of deaths, thousands of injuries, extensive damage to buildings and infrastructure and unquantifiable suffering for the people of the Gaza Strip. Hamas however refused to accept the Egyptian-offered terms at the time, insisting that there would be no ceasefire until its demands were met. 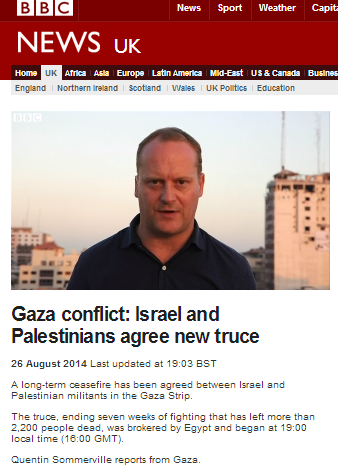 The BBC – as we know – took it upon itself to extensively and energetically publicise and promote Hamas’ unrealistic demands concerning the lifting of border restrictions but consistently refrained from providing audiences with accurate information regarding the nature of the restrictions themselves and the reasons why they had to be imposed in the first place, thus denying them the ability to appreciate why that particular Hamas pre-condition to a ceasefire would not come about. Six weeks and much avoidable civilian suffering on, Hamas jettisoned those preconditions and agreed to a truce without any of them having been met as Avi Issacharoff explains. “Hamas’s defeat lies in the area it counts as most important. With all due respect to the international community, or to al-Jazeera which emerged as the Hamas propaganda arm, what interests Hamas is public opinion in Gaza and in the West Bank. Time and again its leaders — including military wing chief Muhammad Deif, of whom it is not clear what remains after the IDF airstrike that targeted his home — bragged and made promises to the Gaza public that this conflict would continue until the siege was lifted. And until the re-arrested prisoners from the Shalit deal were released. And until an airport was opened. In their enthusiasm for these causes, they cost hundreds of thousands of Palestinians their homes. Two thousand, one hundred and forty-four men, women and children who were killed in a war that they were assured by Hamas simply had to continue until those goals were achieved. The Hamas leadership swore that without a seaport (getting the Rafah border crossing reopened was not deemed a sufficient achievement because it is controlled by the Egyptians) the rockets would continue to fall on Sderot and Tel Aviv, Ashkelon and Netivot. Hamas further promised that there would be no return to the understandings that ended Operation Pillar of Defense in 2012 or to the realities of recent years. Time after time, for almost 50 days, they rejected the Egyptian initiative, which included, almost clause for clause, the elements of the 2012 agreement. But have those important points been conveyed to BBC audiences in the corporation’s coverage of the August 26th ceasefire? 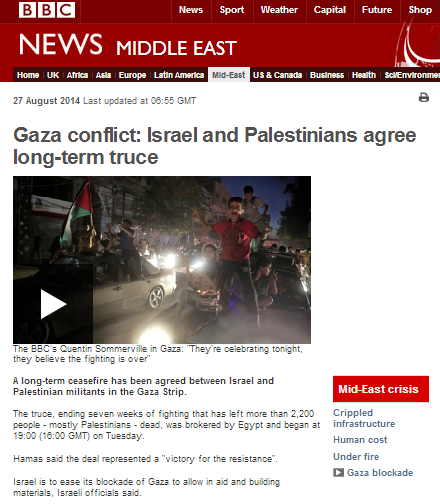 The BBC News website’s main article on the subject ran under the headline “Gaza conflict: Israel and Palestinians agree long-term truce” and it was amended numerous times until its final version was reached. At no point is it made sufficiently clear to readers that the terms of the agreement are the same as those offered after the first week’s fighting or that Hamas abandoned its preconditions – including those still being promoted by the BBC in the sidebar of ‘related articles’ links. The only hint of the latter point comes in an insert of ‘analysis’ from Kevin Connolly. “There have been small celebrations in the streets of Gaza City hailing a “victory” but the truth is that Hamas has not achieved the headline-making concessions it was demanding in return for a ceasefire agreement. Whilst the article fails to clarify to readers that the suffering of residents of the Gaza Strip could have been dramatically and significantly reduced had it not taken Hamas six weeks to abandon its unrealistic demands, it does include amplification of the Hamas narrative. It fails to inform readers that a 19 year-old girl – Randa Nemer – was killed and 45 others injured by that “celebratory gunfire”. The later version of the report briefly notes that two Israelis were killed around an hour before the ceasefire came into effect, but once again father of five Zevik Etzion and father of three Shachar Melamed of Kibbutz Nirim are not named. BBC television audiences saw two reports from Quentin Sommerville on the evening of August 26th. 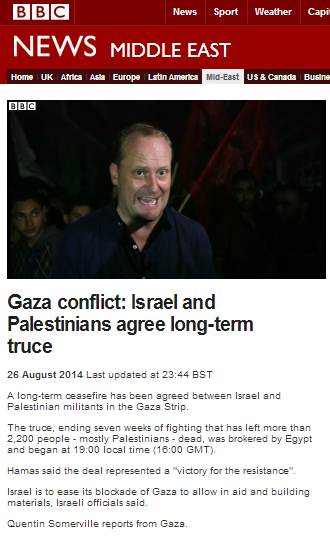 The earlier one – which also appeared on the BBC News website under the title “Gaza conflict: Israel and Palestinians agree new truce” – tells viewers nothing about the fact that Hamas abandoned its preconditions and settled for what it could have had six weeks earlier. Moreover, in Sommerville’s second report of the evening (“Gaza conflict: Israel and Palestinians agree long-term truce“), which one can conclude was produced after more details of the terms of the ceasefire had come to light, he not only neglects to mention the above points but misleads audiences with regard to those terms. Later on in the report viewers are shown footage of Mahmoud Abbas saying that the agreement secured includes “providing Gaza with foodstuff and supplies”. No attempt is made to clarify to viewers that food, medicines and essential supplies have continued to enter the Gaza Strip via the Kerem Shalom crossing throughout the 50 days of conflict: 5,359 truckloads between July 8th and August 25th to be precise. Oddly, the fact that two members of Kibbutz Nirim were killed in a mortar attack earlier in the day is not mentioned. “Gaza does not function as a democracy so Hamas does not have to worry about immediate accountability to its own people, but many will question its judgement on two key points. One is the decision to embark on a conflict when the agreement ending it only guarantees the restoration of the status quo that went before, together with commitments to discuss other grievances. The other is the tactic of insisting on huge, headline-grabbing concessions (like the construction of a seaport in Gaza) in return for merely agreeing to enter talks. Unfortunately, Connolly’s use of understatement and the fact that the BBC has throughout the past seven weeks consistently failed to adequately explain the important topic of the implementation of border restrictions and the naval blockade as a means of curbing the smuggling of weapons into the Gaza Strip mean that many readers are likely to remain unclear as regards the fact that the same ceasefire could have been accepted by Hamas six weeks previously and the extent to which Hamas’ tactics have caused unnecessary suffering to the people of the Gaza Strip. The BBC – its funding public is told – “aspires to remain the standard-setter for international journalism” and to ensure that its audiences “remain informed about world events”. Recently it has become apparent that BBC editors are of the opinion that those aspirations are served by providing audiences with commentary on current affairs from a teenager qualified with nothing more than a Twitter account. Whilst it may be difficult to imagine that the BBC would deem commentary from such a source likely make any serious contribution to meeting its public purpose remit of informing audiences about British defence policy, in a certain part of the Middle East anything goes. 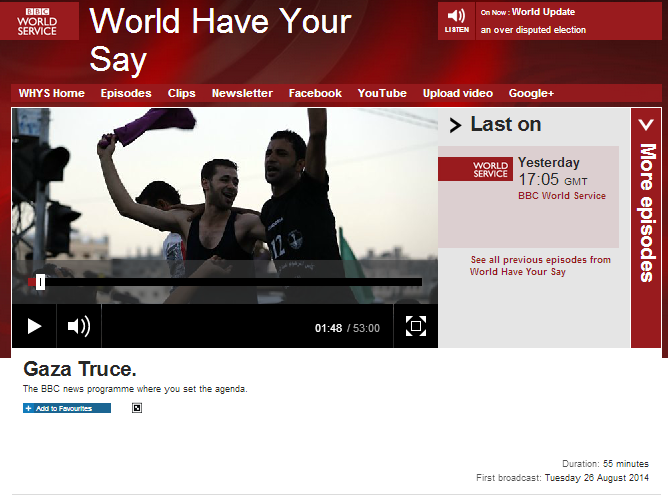 The August 26th edition of the BBC World Service radio programme ‘World Have Your Say’ purported to discuss what it described as the “Gaza Truce” as though nothing at all has happened in neighbouring Israel during the past 50 days and more. Presenter Ben James hosted a number of interviewees during the programme (available here) including the BBC Jerusalem Bureau’s Kevin Connolly, the Jerusalem Post’s Lahav Harkov, Shoshanna Jaskoll, Dr Bassel Abu Warda of Shifa hospital and Xavier Abu Eid of the PLO’s Negotiations Affairs Department. But James’ star guest – and the one to which the programmes editors elected to devote a stand-alone item on their website – was Farah Baker; a sixteen year-old girl from Gaza City who has during the last seven weeks been extensively courted and promoted by the international media (including BBC Radio One’s ‘Newsbeat’ programme aimed at younger audiences) due to her activity on Twitter. One might assume that before a potential interviewee whose only qualification for talking about international affairs is that she Tweets personal views was put on air, producers would take a look at the relevant Twitter account in order to check out what they were actually amplifying and promoting. 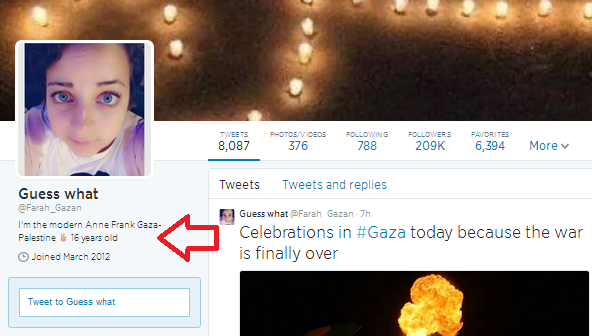 Farah Baker Tweets under the handle @Farah_Gazan and in her profile uses an offensive comparison of herself to Anne Frank. That is not a one-off theme. 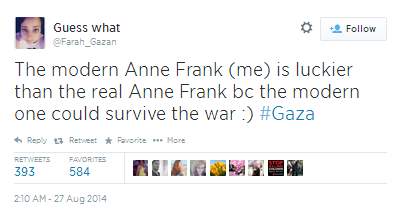 But Farah Baker’s Holocaust analogies do not end there. 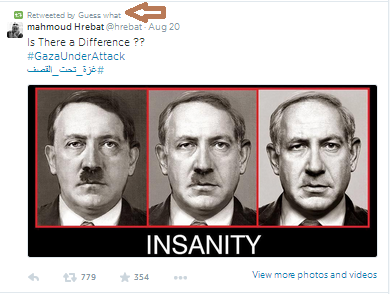 Perusal of her timeline shows that she uses the hashtag #shujaia_holocaust and her Tweets and Retweets indicate that the teenager feted and promoted by the Western media is rather fond of antisemitic imagery. That obviously was not the cause of any concern to Ben James or his producers and unfortunately, past experience shows that should not come as much of a surprise to the rest of us. We have previously documented here the appearance of Nazi analogies and defamation on the ‘World Have Your Say’ Facebook wall despite the supposed existence of a moderation policy set out in ‘House Rules’. The August 26th programme also invited listeners to comment on the WHYS Facebook account and below are some of the comments which still appear there at the time of writing. This, licence fee payers may be dismayed to learn, is apparently what the BBC believes is ‘standard-setting’ journalism. 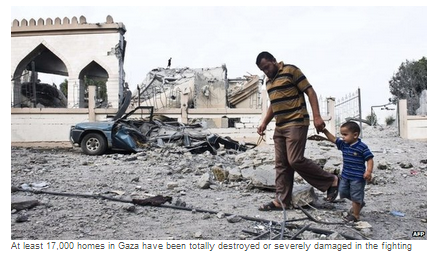 Reporter in the rubble: what is missing from BBC presentation of structural damage in Gaza? 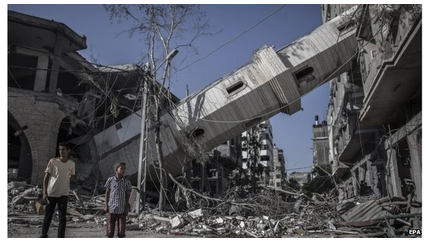 Since the beginning of Operation Protective Edge on July 8th BBC audiences have seen copious amounts of footage and images of damaged and destroyed buildings and infrastructure in the Gaza Strip. Absent from these BBC reports and the many others relating to the same topic, however, are two very important aspects of context: where and why. 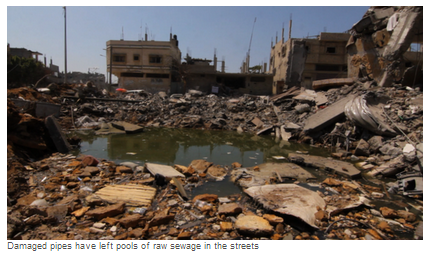 Most BBC audience members will have no reason to be familiar with the geography of the Gaza Strip. They will therefore be unable to judge to what extent the isolated images they are repeatedly shown by the BBC represent the picture in the whole of the Gaza Strip. As we see above, the BBC obviously relies on UN OCHA as a source of information on the topic of damaged structures and that organization recently put out a series of maps titled “Gaza Crisis Atlas”. 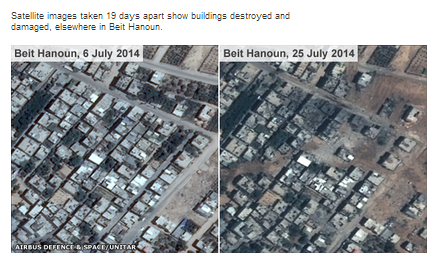 Analysis of those maps published at ‘Israellycool’ – see here and here – shows that the majority of damaged structures are concentrated in specific locations. Of course another important type of context lacking from most BBC reports is why certain locations were targeted. Some examples of explanations can be seen in the video below. So why is it that context which is so vital for BBC audiences’ understanding of what they are being shown by the BBC is subject to serial omission? Well, former AP correspondent Matti Friedman has some important insights to share on the topic of Western media coverage which may provide a clue. On August 26th the BBC News website’s Asia page ran a story about the reopening of Nariman House in Mumbai: the Chabad centre which was the target of a terror attack in November 2008 in which six people were killed including four Israelis. “A Jewish centre in the Indian city of Mumbai is due to reopen, nearly six years after it was attacked by gunmen in terror attacks on the city. Six Jews died at the centre, which was one of several places targeted in the November 2008 attack. Indian forces eventually regained control of the centre and killed several gunmen. “In 2012, India executed Mohammad Ajmal Amir Qasab, the sole surviving gunman from the 2008 attacks. Qasab was part of a heavily armed and well-drilled, 10-member militant unit which arrived in Mumbai by sea on 26 November. Whilst the attacks were correctly described as “terror attacks”, readers will note that in the original version of the report the terrorists were described exclusively as “gunmen” from an anonymous “militant unit”. BBC audiences were not told the name of the terrorist organization to which they belonged or informed that it is proscribed by numerous bodies and countries including the UN, India, Pakistan, the US, the UK, the EU and Australia. 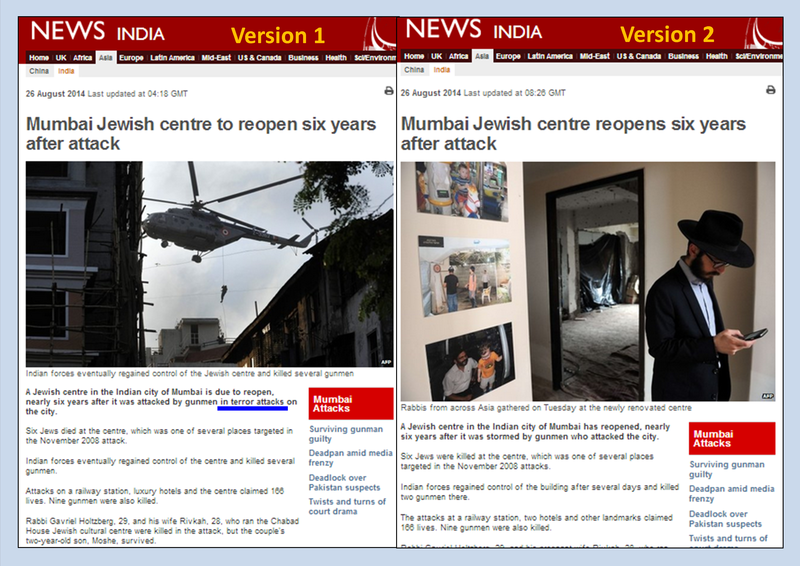 Some four hours after its initial publication the article was updated and its title changed to “Mumbai Jewish centre reopens six years after attack“. Notably, the phrase “terror attacks” was expunged from the amended report’s introduction. “A Jewish centre in the Indian city of Mumbai has reopened, nearly six years after it was stormed by gunmen who attacked the city. Six Jews were killed at the centre, which was one of several places targeted in the November 2008 attacks. Indian forces regained control of the building after several days and killed two gunmen there. Readers are still not given any information concerning a topic highly relevant to this particular story about the Chabad Centre in Mumbai: the ideology of Lashkar-e-Taiba. Even the BBC’s own tepid profile of Lashkar-e-Taiba which has not been updated since 2010 is not included as a link in this report. The BBC cannot claim to meet its obligation to “[b]uild a global understanding of international issues” as long as it continues to pussyfoot around the topic of Islamist terrorism, be it in Asia, the Middle East or anywhere else.